This excellent picture gives a sense of the optimism of the post-war years. Back, row, LtoR, Headmaster Mr Dewey, Desmond Rayson, David Bend, Michael Taylor, George Norris Conrad Taylor. Middle row, LtoR, Vera Damms, Pat Barnes John Simpson, Nevil Bagnall, Geoff Rayson, ? , Norman Gale, ? , Jean Bolland, Pat Lightfoot, Teacher Mr Davis. 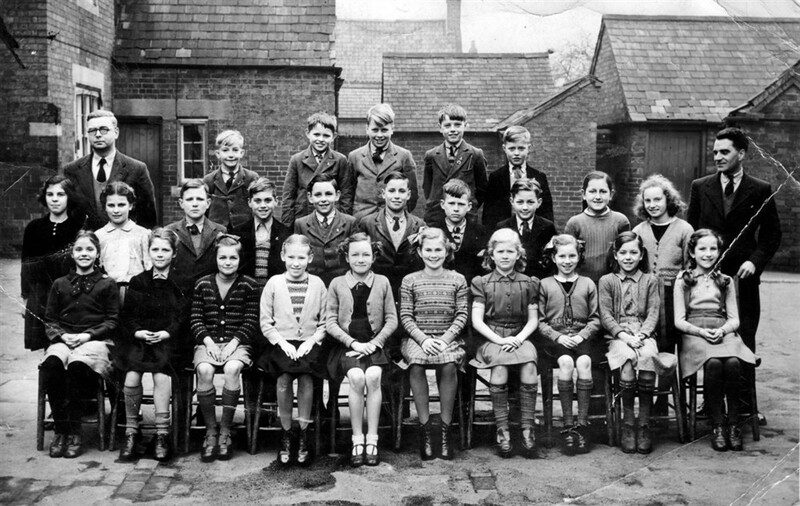 Front row, LtoR, Margaret Fisher, Irene Young, Ann Ducker, ? , Ann Dunsmore, Joy Bagley, Angela Bradshaw, Margaret Lightfoot, Sylvia Guy, Ann Whitmore.